When you connected to the Internet for the first time, what did you look for? Perhaps you went shopping, or tried to find a distant relative. Perhaps you looked for something impeccably professional or something you’re too embarrassed to admit to. As for me, I typed in the words “Clive James” and clicked “Search”. This was not, you understand, due to a sudden desire to research the history of the chat show. My interest was in the songs of Clive James. Twenty-five years ago, when I was at school, a man called Pete Atkin had played some concerts in the school theatre. I bought a couple of his records and wished I’d bought more. At the last of his appearances he told us that he couldn’t get a new contract and he was going to stop recording. I hadn’t heard from him since. By contrast it was almost impossible to avoid hearing from Atkin’s collaborator. For writing song lyrics for the music of Pete Atkin had been the enthusiastic pursuit of the then youthful and now ubiquitous Clive James. 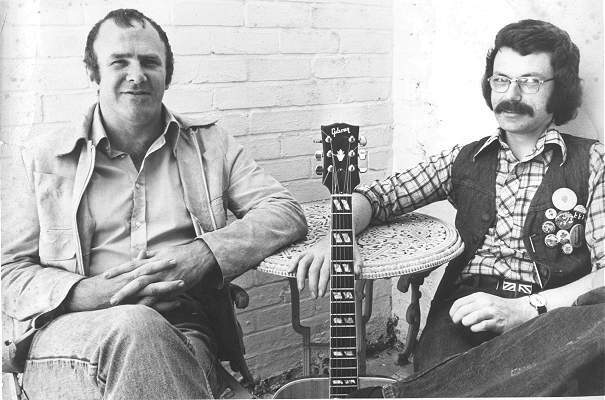 The two had worked together in Cambridge Footlights and before a lack of commercial success forced them to give up, James wrote the lyrics for six Atkin albums. I thought it just possible that they might be mentioned on someone’s website. I wish that all my Internet searches were as successful as my first one. I’ve become used to looking up something such as actuarial science and being referred to 1,732 sites called Girls! Girls! Girls! Life Expectancy! But on this initial search I found what I wanted almost immediately. It wasn’t just a passing mention of Atkin and James, either. It was an entire site entitled “Smash Flops. Pete Atkin — from cult to legend, bypassing fame and fortune on the way”. And the story of the site says much about how the music business has changed since those early 1970s releases. This story begins with a simple fact, without which the rest of it doesn’t make much sense. The fact is that the songs of Atkin and James are exceptionally good. Atkin’s music crosses folk, cabaret, jazz and pop in a way that makes it impossible to categorise but hard to avoid enjoying. James’s lyrics are probably his best work, highly polished poems, illuminated by shafts of wit. Quoting little bits of a song lyric is almost as annoying as quoting large chunks of Monty Python or peppering an essay with untranslated pieces of Latin, so I’m afraid you’re just going to have to take my word for it. Atkin’s records may not have been heard by many people, but those they did reach are devoted to them. I’ve somehow managed to accumulate hundreds of CDs, but if I were only allowed to keep six I’d want to hang on to one by Pete Atkin. It turns out that a man called Steve Birkill feels the same way. In the mid-1990s he decided to find out what had happened to Atkin and his music. He found him working as a successful producer for BBC Radio but still slinging his guitar case in the back of the car from time to time and heading for cellar clubs to play an occasional set. Birkill received permission to set up an official website. In the 1970s the music business was controlled by large record companies. A combination of punk rock and new technology broke their stranglehold. CDs are cheap to put out and the Internet allows a fan base to build with little promotion. As a result a full-scale revival of Atkin’s music began. Without any publicity the number of people visiting the Smash Flops site began to grow. Other Atkin devotees helped Birkill to create a comprehensive discography, contributed concert reviews of long-forgotten concerts and provided enough tapes of live performances to create a library. A discussion group was started whose members pore over the music and, in particular, James’s lyrics. After a legal wrangle with RCA (who thought there wasn’t enough demand to rerelease Atkin’s albums but didn’t want anyone else to do so in case they were successful) the entire canon was taken over by the See For Miles label. There are now more Pete Atkin albums out than George Harrison albums. Atkin and James are delighted. Despite appearances, and despite all their other achievements, neither of them has really given up on the idea of becoming pop heroes. James believes the songs were “the most intense creative endeavour I was ever mixed up in” and Atkin has always thought that with just one piece of good fortune the market for the songs could be huge. They both look back with affection to the days when they wrote songs in their walk-up flat in Swiss Cottage, and, as James puts it, “even at Morgan Sound Studios, where Pete made his albums on budgets that wouldn’t have paid for the sandwiches that members of Yes ate while they clumped around on built-up clogs”. So next month the middle-aged BBC producer and the famous writer will be back on stage playing medium-sized venues in the regions and suburbs. They will be promoting a new studio album, The Lakeside Sessions, published by Atkin without an official label and full of songs they were never able to record. On stage James will introduce his lyrics and Atkin suggests that his old friend might even be persuaded to sing. He’s also hoping that being back on the road will inspire the pair of them to write again. The Internet may have led much that is of little worth to become overvalued. This time it may help the true worth of something undervalued to be seen more clearly.